Three immediate truths tend to register with a person when they find themselves close to a raven. Firstly, the sheer size of the giant corvid, which can possess a wing span of more than a metre. Then there is the colour. Whilst from a distance the raven’s plumage appears a funereal black, up close it morphs into a shimmering pool of inky blue and brown. Finally, and most thrillingly, is the sensation that the bird is looking at you. Not just assessing whether you are a threat or potential source of food, but staring somehow deeper. You realise that behind the raven’s dark beady eye is a fiercely intelligent creature – and you are being weighed and measured. In years gone by this intelligence proved to be the raven’s undoing, leading it to be branded the ‘devil’s bird’ and ruthlessly purged. But in recent years, as the welcome revival of the raven has continued across the country, studies are beginning to unpick the secrets of its motivations and thoughts. We now know, for example, that ravens form complex social structures and establish their own political systems by remembering long-term relationships. Ravens can also manufacture and use tools, solve problems, learn to mimic voices, spot themselves in a mirror, and recognise human faces for many years after they have seen them. More incredibly still, ravens can plan for the future. In the summer of 2017, a report was published by a group of Swedish researchers who had been studying captive ravens at Lund University. 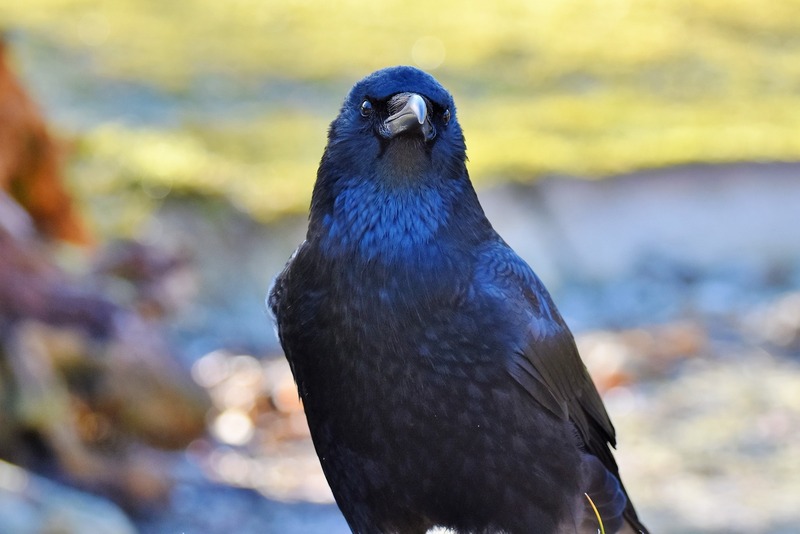 By presenting them with various challenges and rewards and monitoring the response of the individual birds as to how they hoarded and bartered with food, the research team confirmed that the ravens possessed the power of foresight, an ability previously only documented by scientists in great apes and humans. For much of the 20th century, the size of the brain was regarded as being of primary importance in determining an animal’s intelligence. The brain of a raven, by the way, is roughly the equivalent of a large Brazil nut (15.4g compared to an average body weight of about 1kg). However, recent studies have challenged this traditional theory and shown that, in fact, it is the density of neurons packed into a brain that is the true marker of intelligence. 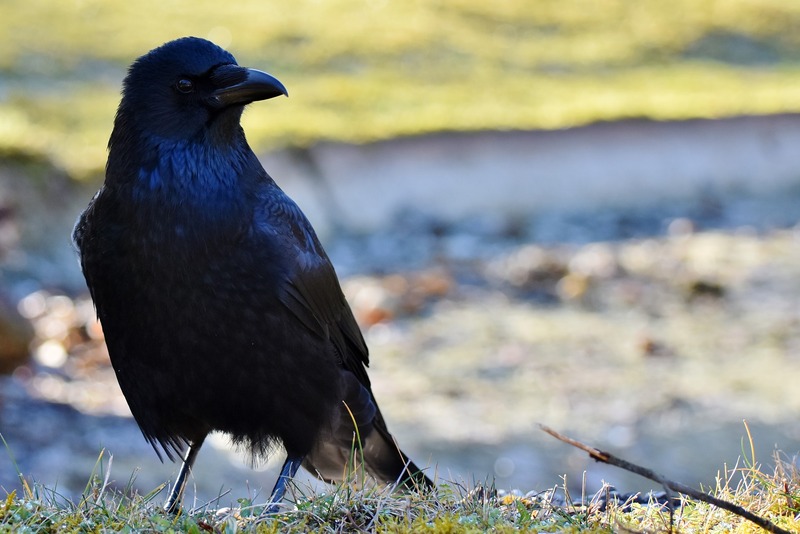 Judged by this criterion, the raven has been shown to possess 1.204 billion neurons in its forebrain (the avian equivalent of the cerebral cortex which is the nucleus of human intelligence) a far higher concentration compared with primates, or other mammals and birds. Perhaps this goes some way to explain the curious occurrence I have considered in my book: when captive ravens live with people, they insert themselves into human social structures, ruthlessly teasing anybody they deem below them in the pecking order and ingratiating themselves with those they regard as their superior. It is not proven by science, and would make critics of anthropomorphism wince, but those who spend time with ravens insist that they possess every emotion a human does: empathy, jealousy, remorse, guilt, anger, fear, joy, anxiety and frustration. Seeing how closely ravens interact with people reminds me of Philip Pullman’s His Dark Materials trilogy, one of my favourite childhood reading experiences. Pullman described how every person possessed a dæmon, an animal manifestation of their soul. Indeed in a recent interview Pullman said that if he were to have a dæmon himself it would be a raven, due to their ‘enterprising way of dealing with the world, intelligence, acrobatic flight and daring behaviour’. As with Pullman’s dæmons, invisible bonds have connected humans to the raven for millennia. 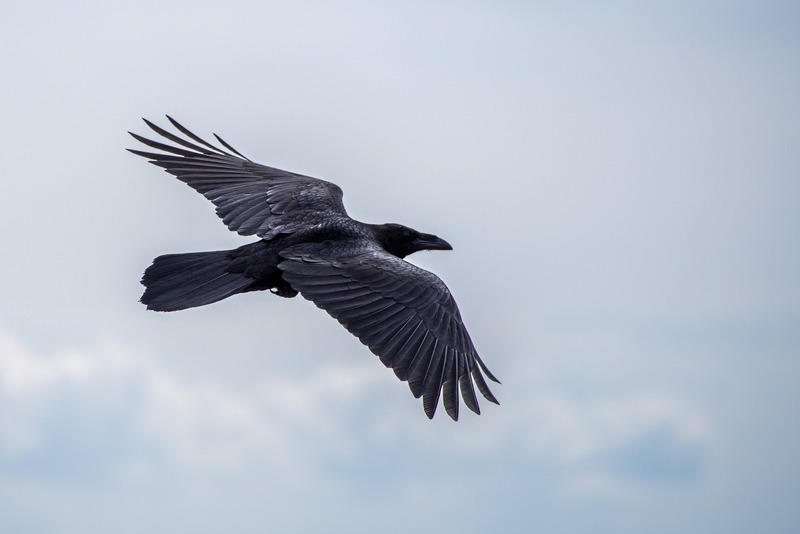 And it is only through a deeper understanding of the raven’s intelligence that we can gain a greater insight into the connection that still resonates today. Joe Shute is the author of A Shadow Above: The Fall and Rise of the Raven, out now with Bloomsbury Wildlife.